Full, thick and oh so luscious. LOVE the ribbon. 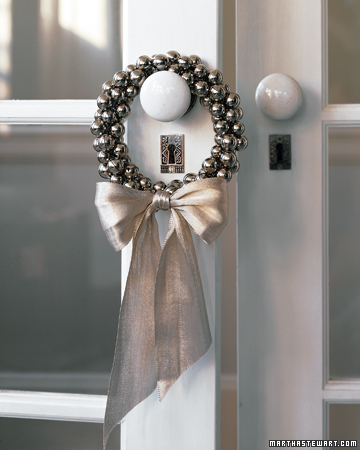 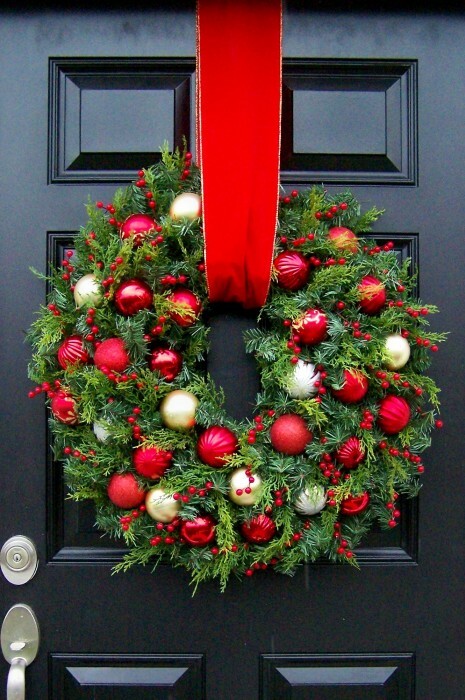 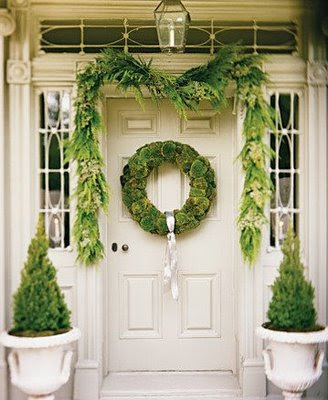 Big, live wreaths like this can be pretty costly. 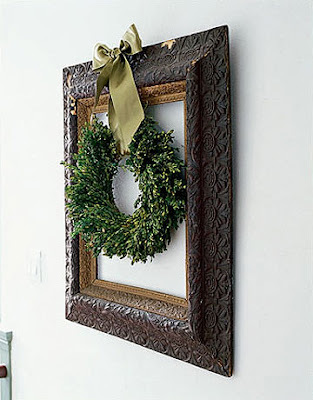 To achieve this look on a smaller budget, buy two wreaths-one big and one small and place the smaller inside the larger and attach them together with floral wire so it looks like you have one thick one. 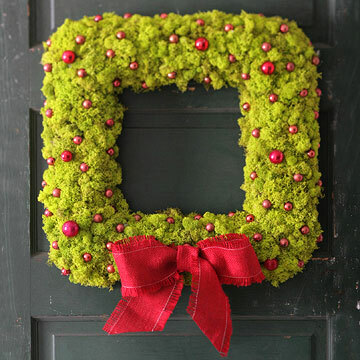 Insert real evergreen pieces all around to make it look real and adorn with various ornaments and berries.